Quick Payment is a fast and convenient way to make a payment on your billing account using your Visa, Mastercard, Checking or Savings account. 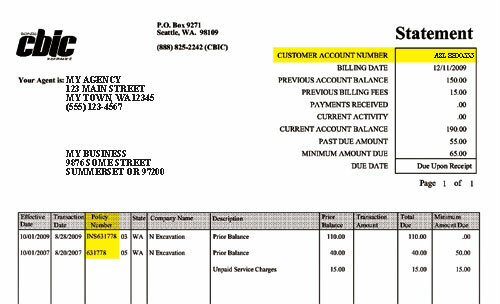 Need help finding your billing account/policy number on your statement? See the example below.